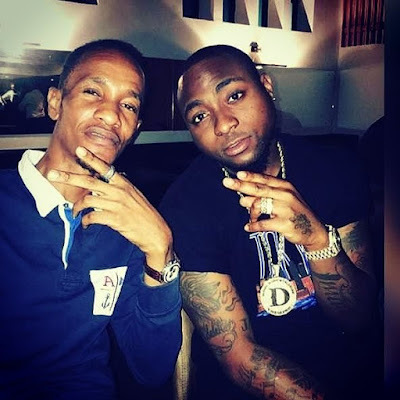 The Lagos State Police Command has commenced investigations to unravel the circumstances surrounding the death of Tagbo, a friend of the hip hop musician, David Adeleke, popularly called Davido. The command said it was awaiting the result of an autopsy conducted on the deceased to ascertain the cause of death, which would guide its investigations. The Acting Commissioner of Police in the state, Edgar Imohimi, said on Thursday that he had and met with Davido and other parties involved in the case. Tagbo reportedly died on the eve of his birthday on Tuesday at a bar in the Lekki area of the state. A Nigerian actress, Caroline Danjuma, had, through a post on Instagram, accused Davido of dumping Tagbo’s corpse at the General Hospital, Lagos, after he allegedly died in his (Davido’s) car. The actress alleged in the post, which she later deleted, that Davido and his crew fled after depositing the corpse. “Davido where is Tagbo? He was with you and your crew last night. You all wore fez caps to hide your identities after he died in your car. You dumped him at the general hospital and ran away…the law must play its role this time…you all better provide Tagbo alive.@davidoofficial. She also dismissed insinuations that Tagbo died from drunkenness, saying he was not a drunkard. “Even in death, lies are being told of you. Those who knew you knew you never drank to an extent of getting drunk…the wicked shall never go unpunished. RIP. The truth is already out. Today (Wednesday) is your birthday. Happy super birthday,” Danjuma added. Davido had also responded to Danjuma’s post via Snapchat, absolving himself from Tagbo’s death. The celebrity musician described the allegation as “false” and vowed not make further comments on the incident. Davido wrote, “People are just wicked and this is what I get for treating everyone like a brother. I was deeply saddened to hear the sudden death of my friend, Tagbo. First and foremost, my sincere condolences and prayers are with the family at this time. I’ve been in the same position before, multiple times and of recent. But the Commissioner of Police, Imohimi, said on Thursday that the command had commenced investigations into the incident. He said all the parties involved had met with the police and had been advised to embrace peace while investigations continued. The CP, who spoke with our correspondent on the telephone, said no foul play was suspected so far. He, however, noted that the autopsy report would give proper directions to the case. He said, “The Lion Building Police Division is investigating a case of sudden and unnatural death. The person concerned, who was Davido’s friend, was brought in dead to a general hospital on Lagos Island and the doctor notified the police. “The autopsy report will be out tomorrow (Friday) or Monday and that would determine the cause of death. The deceased’s girlfriend insinuated that Davido had a hand in the friend’s death because they (Tagbo and Davido) were seen together in a bar somewhere in Lekki, having a nice time.